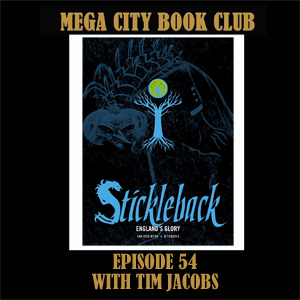 In the last of my three Thought Bubble episodes I met with Tim Jacobs to talk about some Victorian underworld weirdness from Ian Edginton and D'Israeli as we meet the Pope of crime, Stickleback. Get your copy of the first collection from the 2000AD online store. 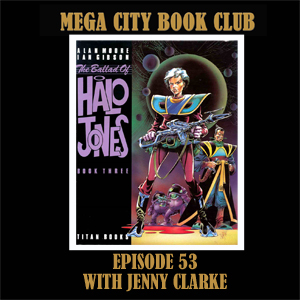 The pod a week trend continues and nepotism rules in the book club as I invite Jenny Clarke to discuss Halo Jones and the impact it had on her when she read it as a 2000AD newbie in her teens. As ever Halo Jones is available in multiple formats, including from the 2000AD online store. 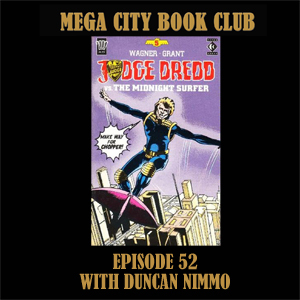 Duncan Nimmo returns to the Thought Bubble book club and brings along the first parts of Chopper's history in the prog as we discuss some wonderful story telling and superb artwork by Cam Kennedy. 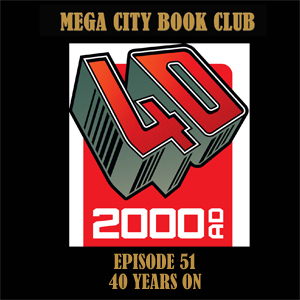 It's another bonus episode for the wonderful 2000AD forum advent calendar organised by our very own not-so-secret Santa, Pete Wells. Here is another collection of Tharg's droids talking about their favourite thing from 40 years of the galaxy's greatest comic.